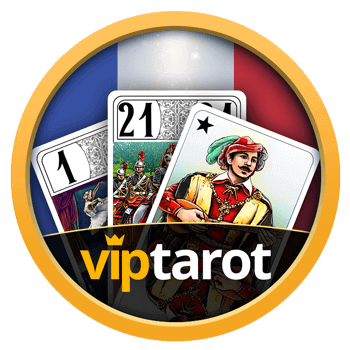 VIP Tarneeb is a social platform for the most popular board game in the world – Tarneeb. Registered users can play and socialize with friends, progress in the game Tarneeb, climb the leaderboards, win prizes and much more. VIP Tarneeb can be played on the website – viptarneeb.com, Facebook and on all mobile devices. All rights on the platform content and the game are reserved and are property of Casualino JSC. For faster registration, use your Facebook account. Your avatar and username will be transferred automatically, allowing you to change them later. You will have access to the full functionality of the site and you will be able to play with your Facebook friends. Use this method if you signed up with your email address to VIP Tarneeb. Choose “Login” from the welcome screen. There, use your credentials to login. Use this method, to visit the site before you register. As a guest, your will have limited access to the site. You get a small amount of starting chips, you can’t play against real players, only with AI partners and opponents. You won’t be included in leaderboards, won’t be able to purchase items from the store, view user profiles, or socialize with the community. Use this to log in with your currently active Google account. This will give you full access to the website and allow you to utilize the cross-platform features that VIP Tarneeb offers. What is a VIP status and why should I purchase it? Choose a game room from the lobby, depending on your playstyle. You will be queued in our matchmaking system. When we find three additional players, we will send you a game invitation. Leaving games is punishable! Do I lose experience points if I leave a game in progress? No, but you lose the game and the bet. Leaving a game in progress will also affect your reputation among other players. Why are the “Advanced” and “Professionals” rooms locked? You need to be higher level to play in the more advanced tooms. You can level up by acquiring experience points from games. Winning gives substantially more experience points. How can I find a specific user? From the side menu in the main lobby, you can choose “Search”. This functionality allows you to search by username. I did not receive my bonus chips today! Why? To get your free daily bonus chips, you must play at least one game after receiving your last bonus. When both players are found, bets will be taken and the game will begin. Once the game starts, leaving will result in a penalty. Use the Bug Report system (the bug icon on the navigation bar), to describe your issue and send it to the customer support team. You can also make a screen shot and send it to support@tamatem.co. I cannot enter VIP Tarneeb, what is wrong? If you’re trying to enter VIP Tarneeb from a web browser, make sure you have Cookies and Local Storage turned ON, and Private Browsing OFF, from your browser’s Settings. I did not receive the purchased chips/VIP subscription from the store. What should I do ? Depending on the payment method used, the transaction could take some time. If you haven’t received your chips/VIP within 20 minutes, send us a message at support@tamatem.co. I was kicked out of a game. Why ? The most likely scenario is that you went inactive during the game. When your turn timer runs out and you haven’t played your turn, you will be replaced by an AI player. You will receive a message pop-up, stating that you are inactive. First of all, check your internet connection. You can also go to the Settings on the side menu and modify the “Low-quality Graphics” and “Software rendering”. If the problem persists, contact us at support@tamatem.co. If the interruption is due to our server or other technical issues on our part, your chips will be restored automatically, and you will be informed with a system notification. If the chips are not returned, this means that the problem is due to problems with your network (slow connection, inactivity, etc.). In such cases no, chips are returned. Your turn time has expired before you made your move. Chips are a virtual currency in VIP Tarneeb. They are used to purchase items from the store, send gifts and join game rooms. Chips can be purchased in our store, using one of the payment methods that our site supports. In addition, they can be earned from games. Every registered user receives free chip bonuses every day. What can I do in the STORE? In order to use the store, you need to be a registered user. In the store, you can purchase items, gifts and VIP memberships. How do I send gifts? Find the user you wish to send a gift to. You can browse users in the leaderboards, in the game, in the lobby, or your friend list. Open the user’s profile and choose “Send Gift”. Sending a gift requires chips. How and why do I LIKE a user? When you play Tarneeb, you form impressions of other users. If you like how they play, if you find them cool and enjoy playing with them, like them! Click on a user’s avatar to open their profile and choose “Like”. The user will receive a notification and might decide to like you back. The users with most likes will enter the leaderboards.